I white embossed a background using Waltzingmouse's Woodgrain, added a few strips of MME patterned papers and a sweet little frog in a die cut pocket from Taylored Expressions. I've coloured him in with Copics and added lots of Glossy Accents to his googly eyes. Super cute card! 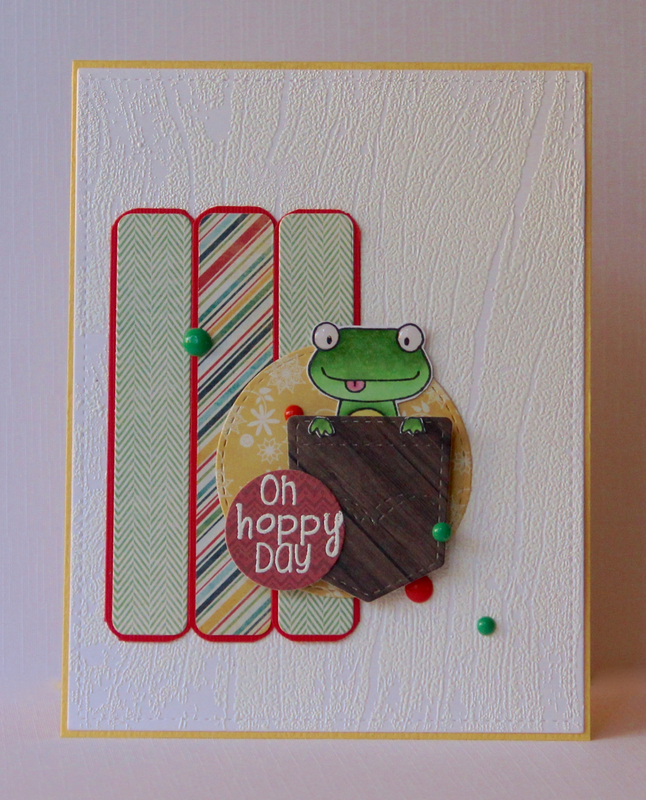 Love the layering and that frog is adorable!! Sweet little frog in the pocket! 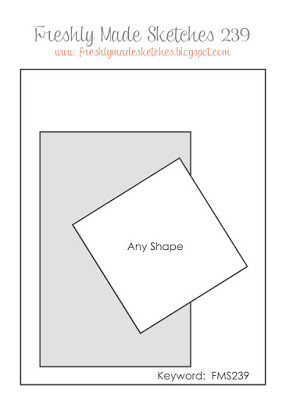 Adorabke card! Glad you joined us at FMS! What a fun card! I love that sweet little frog and the great embossed background! Love the paper too! Thanks for joining us this week at Freshly Made Sketches!